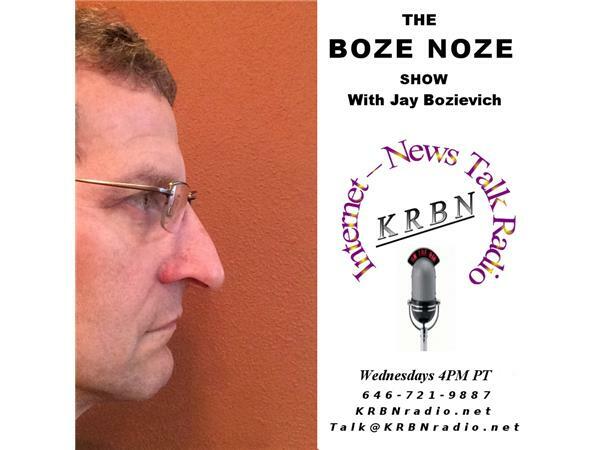 Welcome to The Boze Noze Show where every week you have an opportunity to directly speak with West Lane County Commissioner Jay Bozievich. This week, it's open line Wednesday where you set the topic – whether it's about Lane County, Oregon or even national news. We can even talk about Standard Poodles… Anything is fair game. Hope that you will join us every Wednesday at 4 PM Pacific time right here on KRBN Internet news talk radio. How do I listen to the show you ask? Very easy… Online at KRBNradio.net or call the listener line at 646-721-9887 and if you wish to speak with Jay, simply press "1." What happens after I press "1"? Good question. Jay's producer, Robin, will welcome you to the show and take your first name and place you into the call queue to let Jay know that he has a caller. There you go… Simple easy!